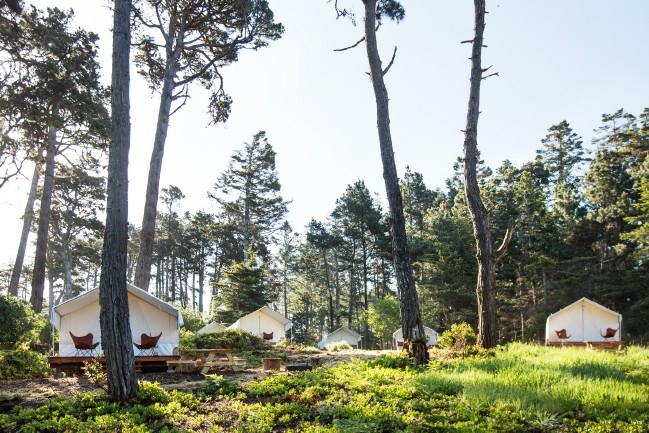 Mendocino is a gorgeous part of the world, and there are quite a few cool tiny lodgings there, like Owl Tree Cabin. 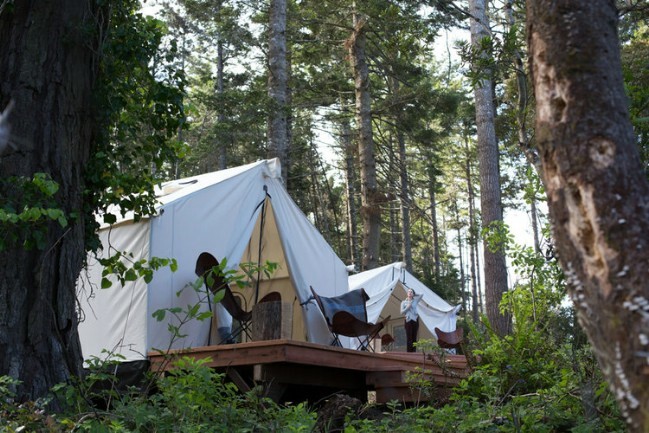 If you ever want to go “glamping” in the area, you can head to Mendocino Grove to stay in a luxury tent. Technically, I shouldn’t call these “tiny” tents at all. For tents, they are quite large. 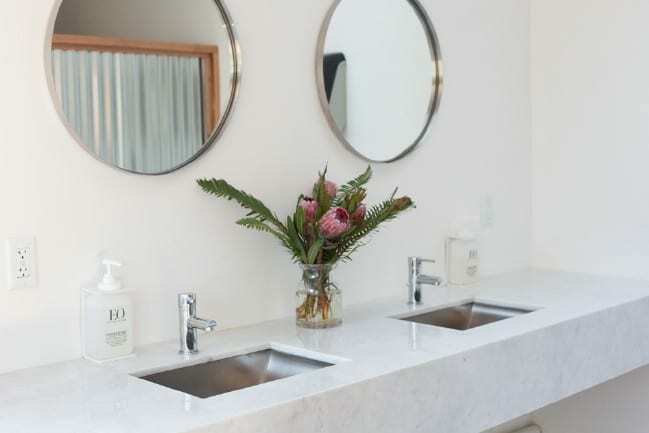 But they are fully furnished for a sumptuously comfortable stay, so the experience is much like staying in a tiny house—just with canvas walls. Each of the tents includes a patio with seating so you can surround yourself with the beauty of nature while basking in the sun. … And what lovely scenery! 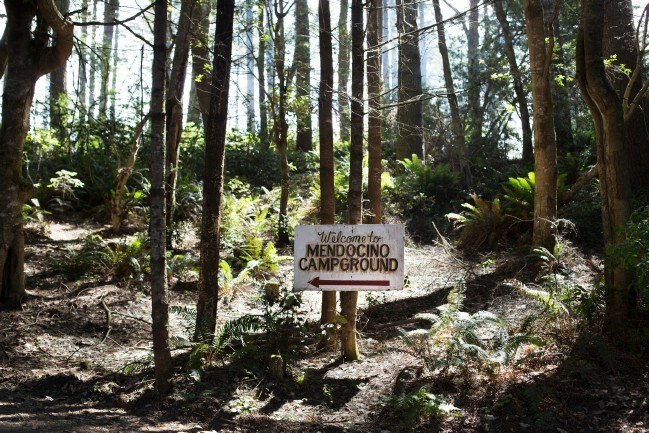 Surrounded by forest, you will truly be escaping from the ordinary. Of course, you don’t have to sit out on the patio to enjoy the splendor of the woodlands. The view through the tent flap is pretty amazing. Wow … you didn’t expect this, am I right? 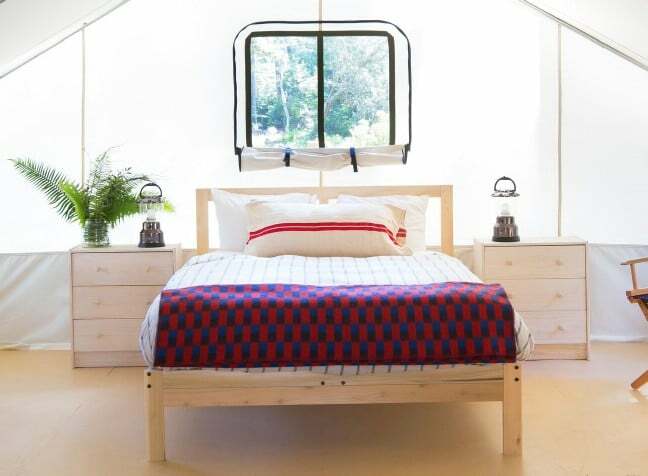 This looks more like a suburban bedroom than the inside of a tent! If the canvas walls weren’t so luminous, you might mistake them for ordinary bedroom walls. 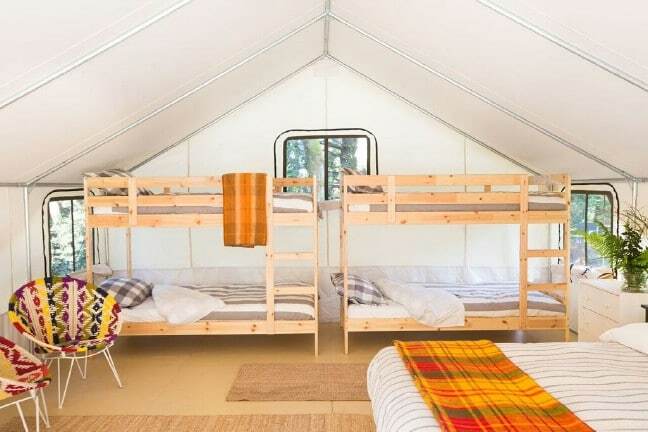 With two sets of bunk beds and what looks like a queen or king sized bed, this tent would be large enough to comfortably sleep up to six people. The bath house is a separate building. 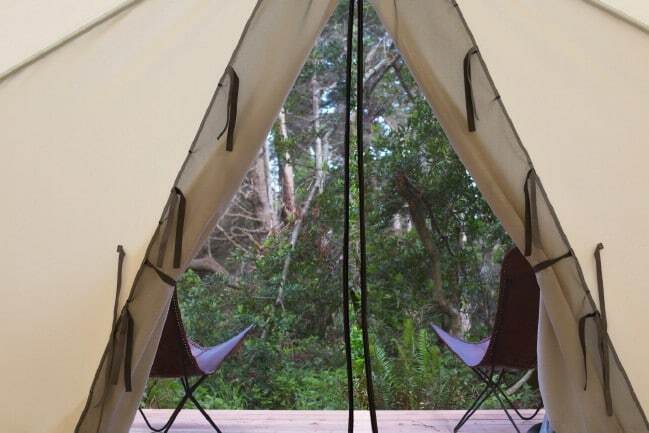 It looks to be as luxurious as the tents. 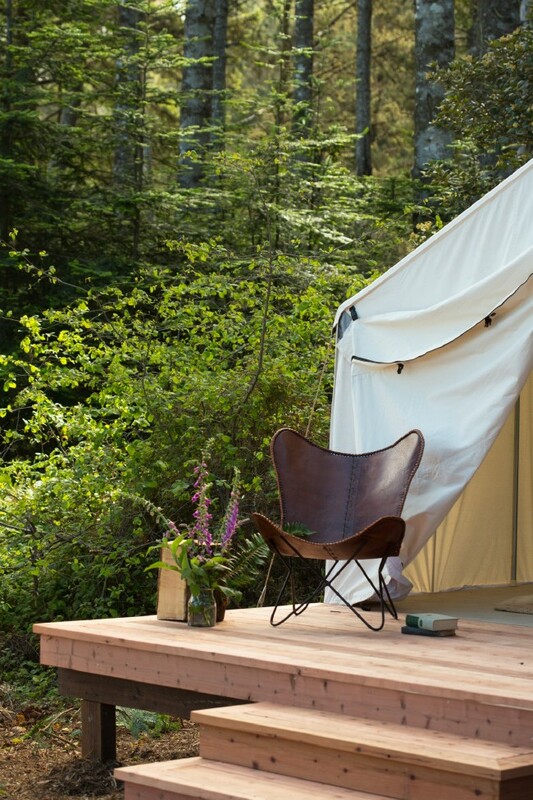 Who knew that camping could be so convenient, easy, and hassle-free? 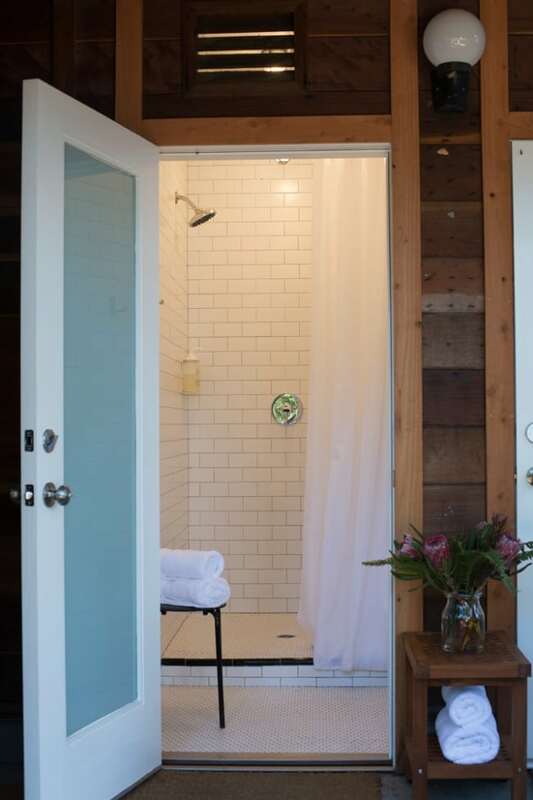 Mendocino Grove keeps you close to nature, but provides you with all the comforts of home. If you would like to learn more or book a reservation, you can visit the resort at its homepage here.